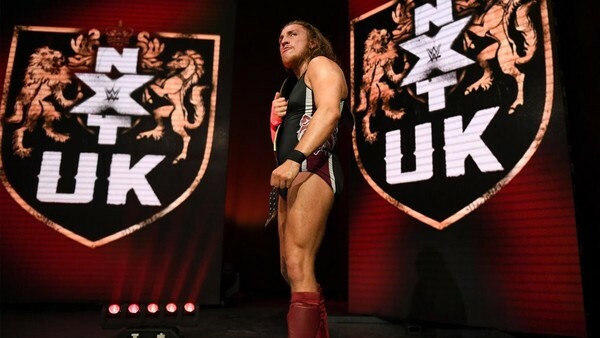 WWE Network subscribers are Cambridge educated as Triple H's British Wrestling rebadge kicks off..
NXT UK finally launched proper this week, after all sorts of false starts and dawns since the company held a tournament to crown the first ever WWE UK Heavyweight Champion 22 months ago. Finally there was something for Pete Dunne to do with the bloody thing. He took the belt from Tyler Bate at NXT TakeOver: Chicago in June 2017 in a match that can finally be vindicated for more than just being a superlative one-off. Finally WWE can shake off the stigma that they're only bothering with the project to stub a tab in the eye of World Of Sport wrestling after that finally aired and finally - regrettably - confirmed fears that it wouldn't have the legs to be sustainable for the long haul. And finally, here ends further mention of that loaded word for the remainder of this introduction. Any echoes of The Rock (or any bonafide wrestling megastars, for that matter) are better quashed. Comparing 'The Great One' and some of the only-okay-ones on this show smacks of Bobby Heenan's "Ice Cream and Horse Manure" take rather than Triple H's previous promos about them all changing the wrestling world. Was it all worth the wait?